Nestled in the heart of the Columbia River Valley between the Purcell and Rocky Mountain ranges lies Columbia Wetlands Outpost. Surrounded by hundreds of acres of wetlands and mountain heaven, the Outpost offers truly unique experiences set in a breathtaking and extraordinary eco-system. Columbia Wetlands Outpost is owned and operated by the Teasdale family whose love of nature and passion for the Columbia Wetlands is apparent in all that they do. 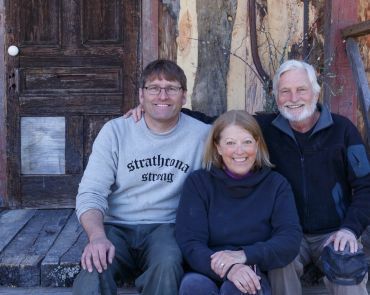 The family first settled here over 20 years ago when Mark Teasdale moved to the Valley to work in forestry, planting trees and maintaining new forests. Mark’s pioneering spirit and passion for creating unique spaces that are in harmony with the splendour of the valley combine to make Columbia Wetlands Outpost a place of lasting memories. Each element of Columbia Wetlands Outpost has been carefully and sympathetically crafted to connect people with our natural surroundings while minimizing impact. The number of visitors is intentionally limited so that guests to the wetlands can appreciate incredible peace and serenity. The team working at Columbia Wetlands Outpost embrace this deep respect for the environment and delight in opening this magical world for others to enjoy. Universally dedicated to environmental stewardship, the Columbia Wetlands Outpost team hopes you will feel the connection too!